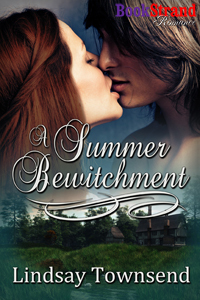 Lindsay's Book Chat: 'A Summer Bewitchment' - now at Amazon and Kobo. 'A Summer Bewitchment' - now at Amazon and Kobo. 4.5 Blue Ribbons from Romance Junkies. Sequel to The Snow Bride and second part of the Knight and the Witch series. Nice covers. Books sound great.